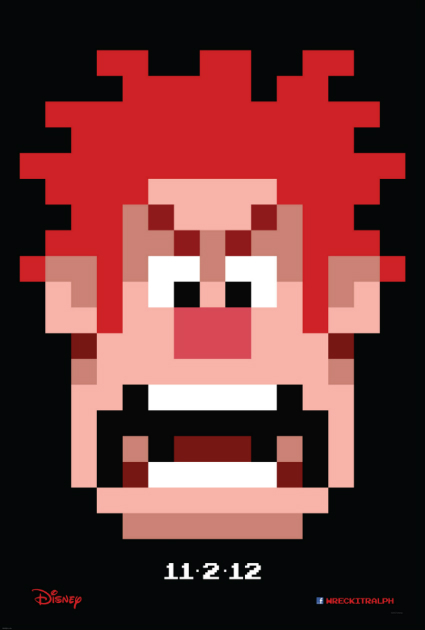 Video games have inspired many a movie in the post-Atari age, but Disney's CG-animated November adventure Wreck-It Ralph puts a spin on things: It follows an 8-bit villain named Wreck-It Ralph (voiced by John C. Reilly) who escapes the confines of his video game and journeys through the arcade to prove he's got what it takes to be a hero. As such, the early art work has been retro-tastic, and this week's new teaser poster is no different. Take a gander and get ready to explain to the iPhone-toting, Tweet-happy kiddies what "8-bit" means. Wreck-It Ralph hits theaters on November 2. Whats Taking place i’m new to this, I stumbled upon this I’ve discovered It absolutely useful and it has aided me out loads. I’m hoping to give a contribution & aid different users like its aided me. Good job.